Royal Mail's First Big Secret this year is that the 'Music Greats' issue to be issued on 7 July is dedicated to Pink Floyd, as some people suggested earlier in the year. The really tenuous reason for this block-buster, designed to make money from Floyd Fans, is that "2016 marks 50 years since Pink Floyd turned professional and became the ‘house band’ of the London Underground movement of music and arts." Which means that there are 3,000 Post Offices where collectors and fans will NOT be able to buy these stamps. The Piper at The Gates of Dawn, Atom Heart Mother, The Dark Side of the Moon. Animals, Wish You Were Here, The Endless River. The UFO Club 1966, The Dark Side of the Moon Tour 1973, The Wall Tour 1981, The Division Bell Tour 1994. For Floyd Fans there are also 10,000 Dark Side of the Moon Maxisheets (priced at £12.95 and reminiscent of the sheet issued in the summer of 2010), a 'Syd Barrett Souvenir Cover' (edition of 3000 priced at £24.99), and some framed products with a top price of £79.99). 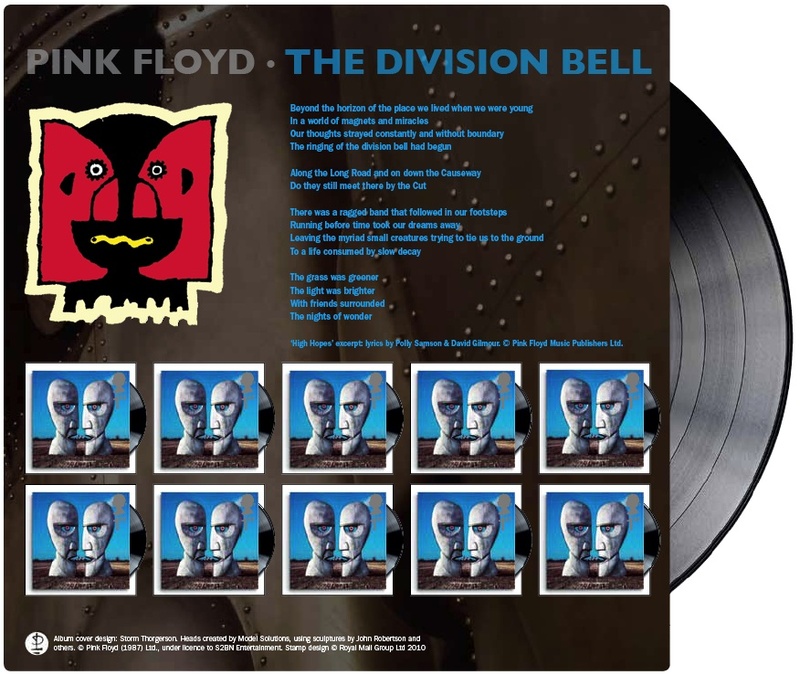 Floyd Fans will probably remember - stamp collectors certainly will - the Division Bell Sheet issued in March 2010*. * This is the 2010 sheet, which followed the Classic Album Covers stamps issued January 2010. This is available in our webshop. As I recall, distribution of these ways delayed past the official date of issue. Let's hope Royal Mail gets its Tallents House in order before July so that Floyd Fans are not kept waiting for the new stamps. 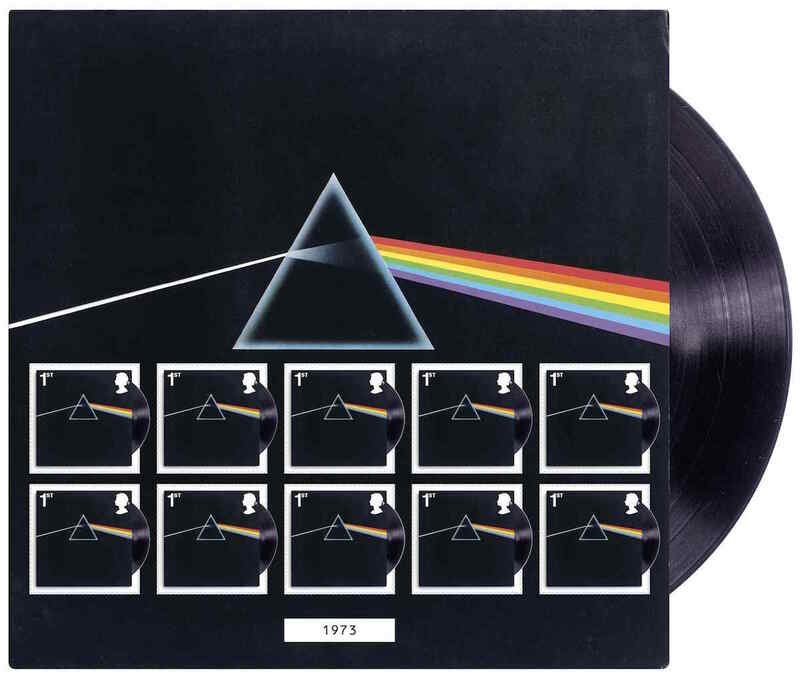 I've never really been into popular music but remember, as a student, being bombarded constantly by a flatmate's constant playing of his "Dark Side of The Moon" record. Does this group still have an enormous following of enthusiasts to warrant an assault on the non-philatelic fan market as big as this? Presumably Royal Mail feels that is the case. I suppose I'll end up buying most of these items for my collection but without any enthusiasm. The question is - for how much longer am I going to keep wasting my money on such stuff? Does this group still have an enormous following of enthusiasts. Yes they do, but will they buy the stamps in sufficient quantities, I doubt it. Pity the Pink Floyd fans who rely upon the BBC website for their news - Auntie Beeb has published an online article on the issue saying that the stamps go on sale "from Thursday" (implying today, 26th May). They must have changed it in double-quick time as it now says 7 July. The power of social media: I just told them on twitter, after getting Byron's comment. When I looked it still read 'from Thursday'. Really ... ?!? 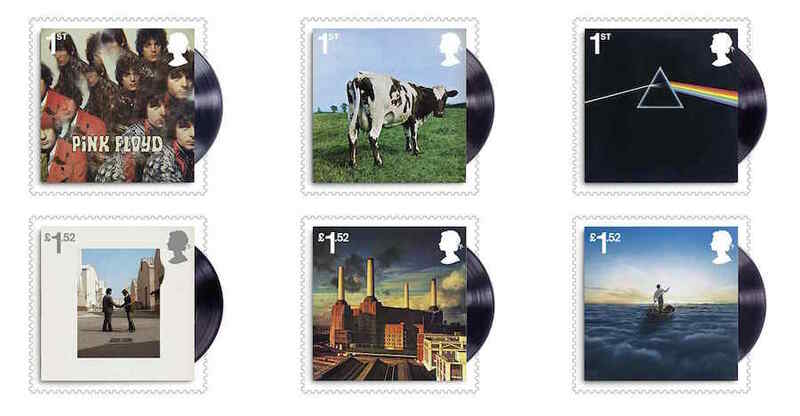 I'm surprised Royal Mail haven't re-released the Division Bell stamp as well, just to add insult to injury! I despair. Who is it that decides what is in the stamp programme each year? They are seriously out of touch. Please tell me this is a joke. I did actually send in suggestions somewhere to Royal Mail for stamp issues, but they've totally ignored them. I remember the Irish Post/Stamp people welcomed suggestions from the public a few years back. Never mind. We get a special set of Beatrix Potter stamps later in July too. Can't wait. Thank you for your post Byron. Your name reminded me that a couple of weeks ago I looked up to see if any of the Romantic poets had been commemorated with stamps. Wordsworth and Keats yes, Byron, Shelley and Coleridge no. And what about William Blake ? Perhaps someone may correct me. In the world of Philately are there any sort of league tables which rank the overall standing of a countries 'issues' with respect to other countries. I suppose if there were then the UK would be deemed like many Government Stocks as 'Junk'. I see we have another 9 issues this year including a return for Beatrix Potter and Agatha Christie. Perhaps the Royal Mail should submit a list of potential issues from which an agreed list can be selected by public vote. Hold on that would give us stamps for the likes of Boaty McBoatface so maybe not a good idea after all. 15 stamps in 6 years for just one pop group. What are we ... Grenada?? Much worse than Grenada. I calculated that Grenada (plus Grenada Grenadines) issued 226 philatelically different stamps while "Great Britain" (Royal Mail and including Post And Gos) issued 309 philatelically different stamps during 2015. Royal Mail's total was well above that of Australia Post (Australia, Christmas Island, Cocos and Australian Antarctic Territory) which totalled 249 stamps while New Zealand Post (including personalised stamps) achieved a total of 121 and Canada Post just 86. Incredibly, Jersey Post issued 196 philatelically different stamps in 2015. Was I the only person to be disappointed that this set (Music Greats) didn't commemorate Yehudi Menuhin's birth centenary...?